Did you get a little rushed on that late night job you had to finish? Trying to play John Henry and beat the machine printing speed record? 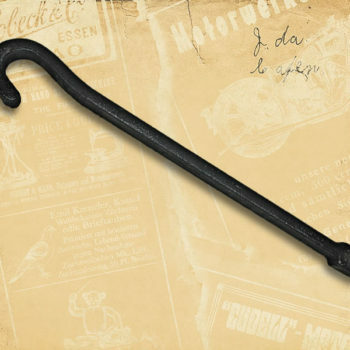 If you happen to break or wear our your original or reproduction Treadle Hook – you need not dismay! Hern has cast extra Hooks for just such an occasion. Please be sure to order the Hook for your press and/or prior Treadle kit purchase to ensure a quick drop in replacement. 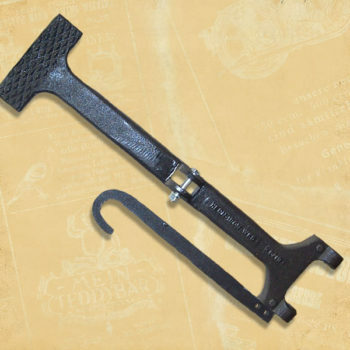 As with instructions for the Hern Treadle kit and installation of said Hook – be sure and fit your Hook prior to complete assembly to the treadle and full operation. Hooks will need to be filed or ground to fit the crank shaft; and will need to be checked for rotational clearance and ground where necessary to ensure that it has the longest life possible. Cast Iron will be very durable over time, but very rigid. You cannot get it close and hope to force it into place – it will snap and break – there is NO elasticity in iron. 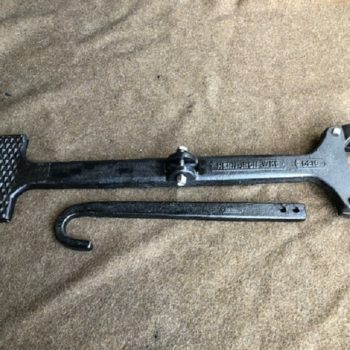 The 10×15 Chandler & Price Treadle Hook from Hern Iron Works is custom made specifically for the 10×15 Old & New Style C & P Treadles. Hooks are kept in stock. Pricing includes UPS shipping to your door. 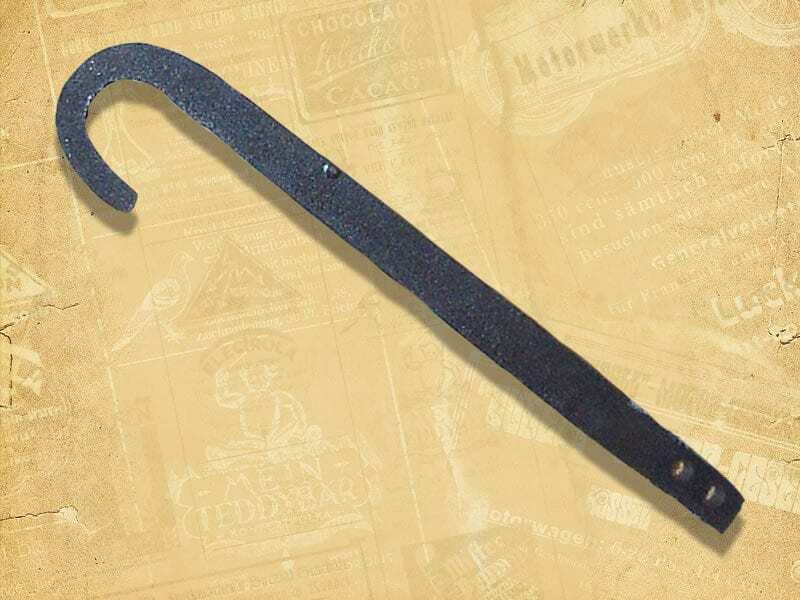 Replacement Hook ONLY – for C & P Treadle -8 x 12 New-Style. Part #0215-A. Pricing includes shipping and handling, to your door. Hooks are always kept in stock – ships within one business day of payment! Shipping Price Included on ALL print treadle kits & treadle hook orders!! 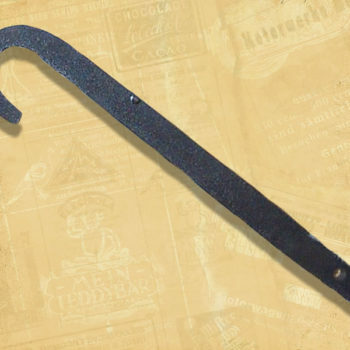 Replacement Hook ONLY – for C & P Treadle -8 x 12 Old Style. Part #0214-A. Pricing includes shipping and handling, to your door. Hooks are always kept in stock – ships within one business day of payment!